Whether you own a doggie daycare, veterinary clinic or pet park, SYNLawn® Texas understands how important it is to keep your pet guests happy, clean and healthy, in addition to their owners amazed with your SYNLawn® pet areas. 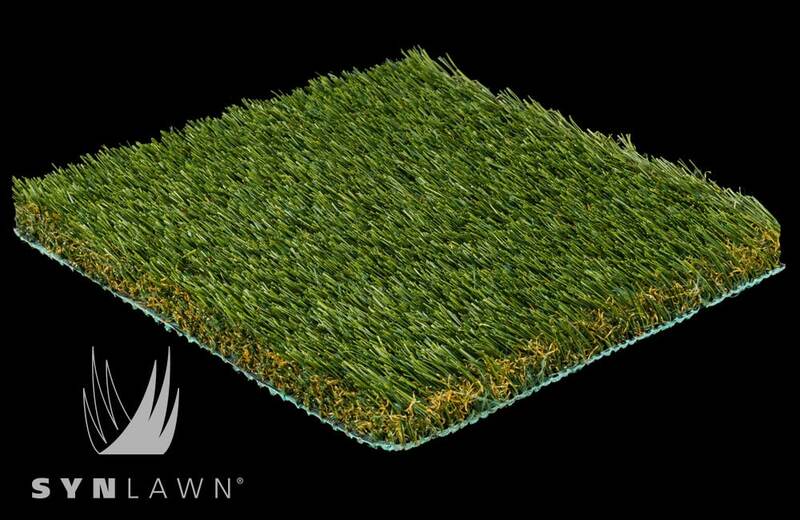 SYNLawn® Pet turf offers premium turf designed to withstand high traffic of playful pets. Our design staff will work closely with you to choose the appropriate products then custom design and install your picture-perfect artificial pet grass area. We do this to ensure your new SYNLawn® pet system will address the needs of your pet guests in every way possible. In addition to creating a wonderful outside experience for your pet, your artificial pet grass will also make life easier for you. At SYNLawn® Texas, we are pet lovers just like you, so we go above and beyond to ensure only the best for your furry friends. You can count on SYNLawn® for artificial pet turf that delivers safety and comfort for your pet guests. As pet owners ourselves we too would rather be spending time playing around or laying around with our favorite furry friends instead of cleaning up after them. That's why SYNLawn Pet Platinum is the ultimate artificial pet grass for animals of all shapes and sizes. Designed for maximum drainage, long-lasting durability as well as providing low surface temperatures and an elegant combination of natural colors for ultra-realistic natural beauty. Ask about our odor control and additional security options! We have a small fenced in area specifcally for our two dogs. The natural grass was a mess - mostly just patches of mud. We had our SYNRye 250 installed last Fall and have been grateful every day that we did. During this past hard winter, it has worked out great. When we have light snow flurries, the snow tends to melt on the SynLawn which is helpful. We are very satisfied so far with our purchase. I can't believe I didn't do this years ago! My dog has been making it so hard to keep my lawn looking good that I finally decided to try this and could not be happier. The crew did a great job and now we are all happy! Ever since he was a puppy my Snoopy has been tearing up the backyard, digging under the fence. It's to the point where there was hardly any grass left. He's not a bad dog, just a very active one. By some stroke of luck I discovered synlawn and I'm so glad we put replaced our dirt (with a side of grass) with a big green lawn that looks amazing. Topping it all off Snoopy can't dig through it, tear it up or get under the fence any more, in fact, he doesn't even try. Now we're able to spend more time playing together and we couldn't be more happy with our new backyard! This was installed on my neighbors deck first and I watched how it was installed and tested and then waited after the first rainstorm and retested then decided to order the same product. The installation we received was terrific and a great product - we enjoyed working with SYNLawn. Looks good, anxious to begin using. This product is the answer to months of research, on how to resolve our deck drainage problem. We have had our product now for about 45 days and we are completely happy with it. We live in a condo association with a very small fenced back yard and it was always difficult to mow and trim in such a small area. While we didnât initially want to spend the money, we continued to research the product and finally opted to do it after all â and weâre glad that we did! No more mowing, trimming or brown, thin grass â it has been green since day 1 and looks great â¦ no regrets here!! At a full 2-inch profile pile height SYNZoysia 633 brings an uncommon combination of durability and softness not found in competitor knock-offs. Multi-colored grass and thatch fibers blend to create one of the most natural looking synthetic grass varieties ever produced. The neighborhood will be wondering if it's the real deal or not? This grass works well in a multitude of applications including residential or commercial lawns and landscapes, pet zones, playgrounds, rooftop applications and more.